Dr. Sharon Jacob from the University of Miami/Jackson Memorial Medical Center in Florida and colleagues reviewed the scientific support for herbals used by patients with psoriasis. Qutenza (capsaicin) 8% patch is a medicated skin patch that can be used to help relieve the pain of post-herpetic neuralgia (PHN). 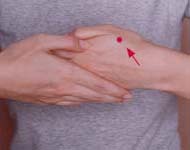 Capsicum plaster at classical Chinese acupoints is an alternative to acupuncture for preventing postoperative nausea and vomiting, sore throat, and pain. Â Postherpetic neuralgia is a painful complication of herpes zoster (shingles). 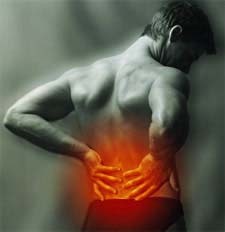 The Cochrane Collaboration has evaluated the effectiveness of herbal medicines for the treatment of low back pain. 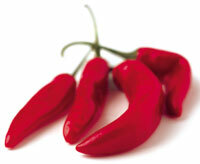 Capsicum (Cayenne) is a category of plants used as spices, vegetables, and medicines. Think chili pepper, red or green pepper, bell pepper, and paprika. In this study, capsicum plaster was applied at a classical Chinese acupoint to lessen pain in infants and children following surgery.